The judge refused to change the size of the bail. Kyiv's Court of Appeal on 13 March upheld the decision of a lower court that warranted the two-month pre-trial arrest of the suspended head of the State Fiscal Service. Roman Nasirov can be placed under house arrest if he deposits a bail of 100m hryvnyas, or roughly 3.7m dollars. Nasirov said he would not pay the bail. "I am here now (in custody), after that I am jail-bound. Even if could make a pledge, I would not have been physically capable of doing it. Everybody has seen that the prosecutor's office cannot prove I can escape," Nasirov said as reported by an LB.ua reporter. 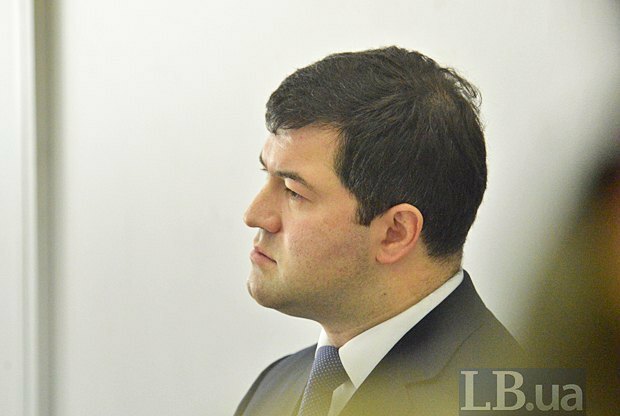 Nasirov said the court decision was unjust and insists that the court should review the indictment of the first instance and cancel the detention. "My lawyers will appeal to the European Court and we will prove our position there. I consider this detention illegal," Nasirov said. The National Anticorruption Bureau of Ukraine said the investigators believe that in 2015-2016, Nasirov acted in the interests of MP Oleksandr Onyshchenko by allowing local SFS agencies to unlawfully resctructure tax debts due to be paid by three firms affiliated with Onyshchenko. They insist that Roman Nasirov has inflicted 2bn hryvnyas in losses on the state. On 4 March, a judge of the Solomyanskyy district court, Oleksandr Bobrovnyk, postponed the hearing because not all the lawyers of Nasirov had time to get acquainted with the case. The next day, Nasirov's defence petitioned to have the judge removed, again blocking the custody hearings. On 5 March, the court did not have a reserve judge to consider Bobrovnyk's removal. On 6 March, judge Olena Bukina dismissed the request for Bobrovnyk's removal.